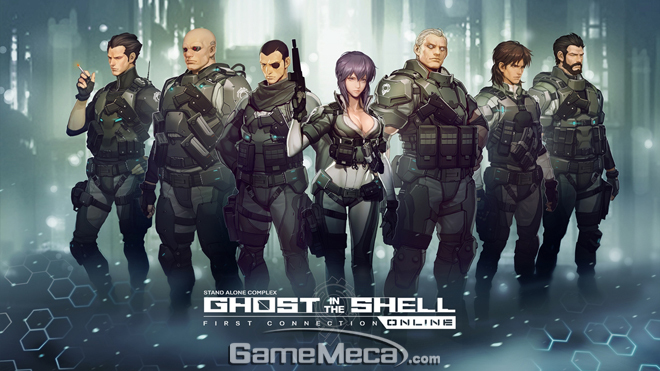 Developed by Neople, FPS genre of Ghost in the Shell Online entered its first test phase on 8th, April. A simple test lasting until 12th April(just 5 days), and users can apply on the Ghost in the Shell official website (www.ghostsac.co.kr) by on 7th, April. In order to celebrate first test of Ghost in the Shell, Neople will hold collaboration events with Dungeon and Fighter and Cypers, from 9th, April to 12th, April. In this event, users who join and play certain period during the test on the Ghost in the Shell Online by Dungeon and Fighter or Cypers account, can be paid 10,000 sera, tera respectively. For the detail information for the test, please refer to an official website www.ghostsac.co.kr. "Ghost in the Shell Online" is based on the world view of "Ghost in the Shell STAND ALONE COMPLEX" animation series and fierce battle theme FPS with anti-terrorist unit "Public Security Section 9". It features more strategic battle by linking skills of own character and its force. And it provides realistic sound effect obtained from detailed recordings of the sound of gunshot, and maximizes feeling of shooting by producing part destruction system, which is separated from whole body of character when it is attacked by the enemy. Maple Story 2 in last stage of official service, will be successful?